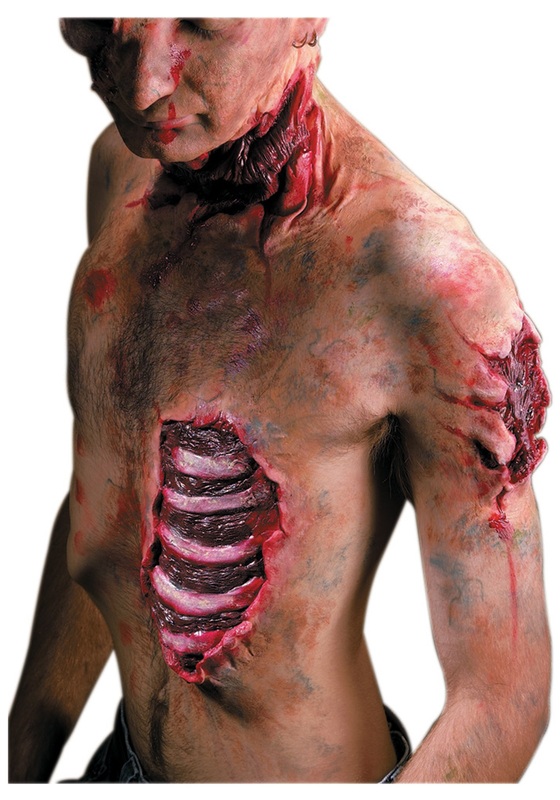 Even though (we hope) you aren't actually a zombie, it can be fun to dress up and act like one. So, next time you are suiting up like a member of the undead masses, add this Spare Ribs Prosthetic kit to your pasty, bloody, decomposing style. This latex accessory easily goes on your body, and gives the realistic appearance of some major damage to your rib area. If this were a real injury, you'd definitely want to run some cold water and slap a bandage on that. But when you're a zombie, it's just part of the daily grind!